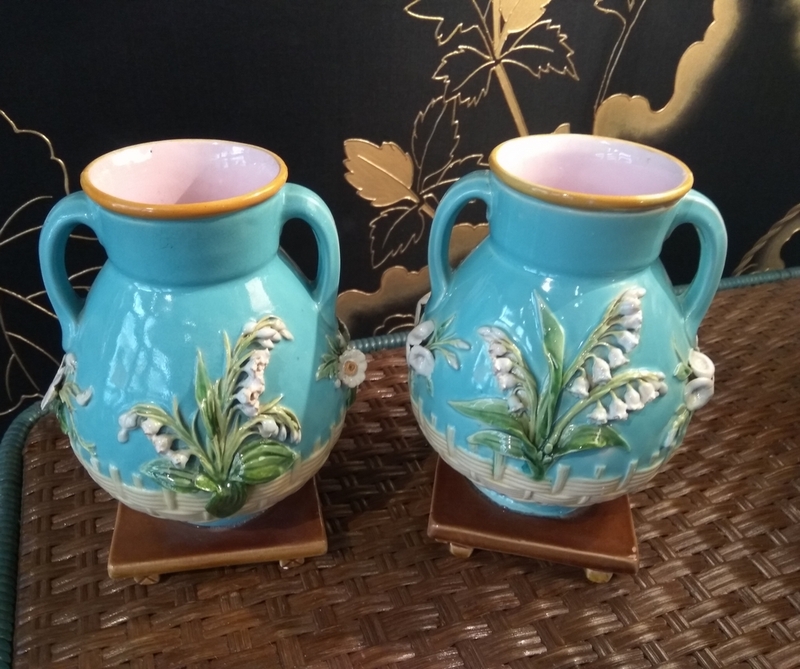 This small pair of lily of the valley vases was made by Minton Manufacture in England during the second half of the 19th century. Each vase is decorated with lily of the valley in relief. Lily of the valley embodies the arrival of spring and thus celebrates Nature. The renewal of flowering is also embodied by the use of sky blue, evoking the spring blue sky. The choice of pastel tones also recalls spring. 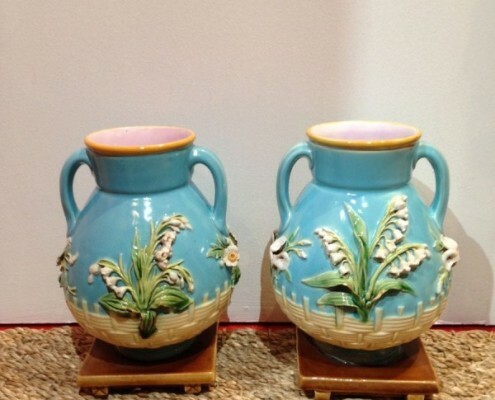 Thus, this pair of vases is part of the Naturalism trend, seeking to reproduce nature in a realistic way. The shades of green, yellow and white give a realistic aspect to the composition. 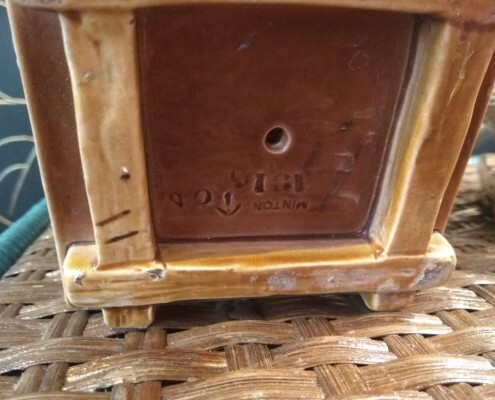 Basket-shaped wicker strands are also represented at the base of the vase. 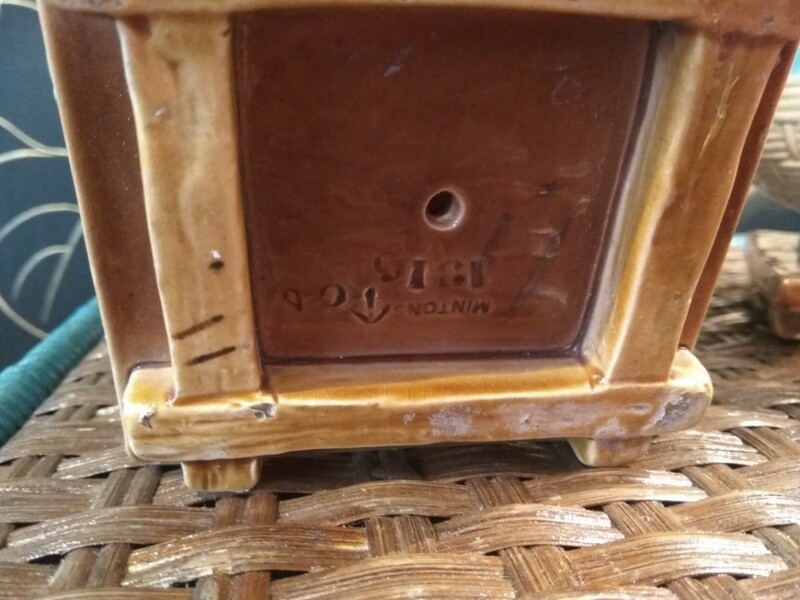 Finally, yellow highlights are present on the neck of the vase, to recall the color of the pistils of lily of the valley, of the same color, and gives harmony to the whole. 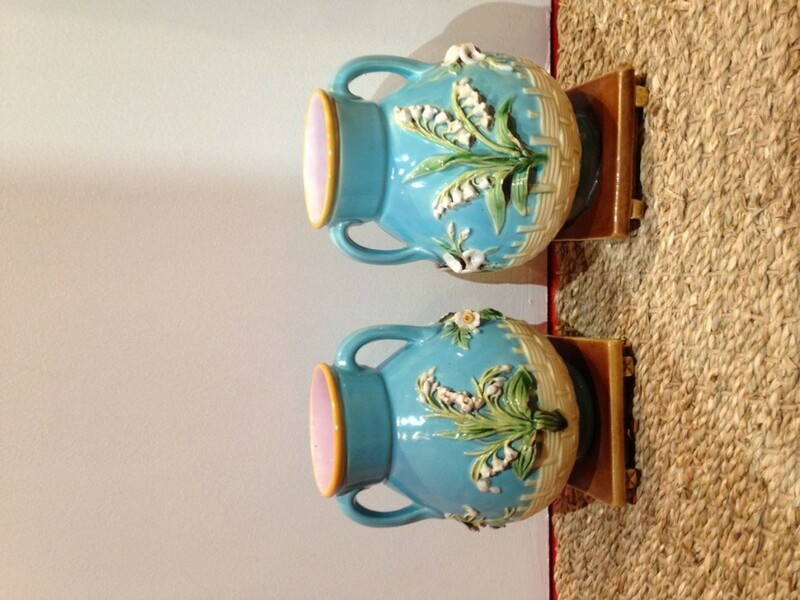 The pair of lily of the valley vases that we present here is totally inscribed in the naturalistic vein. 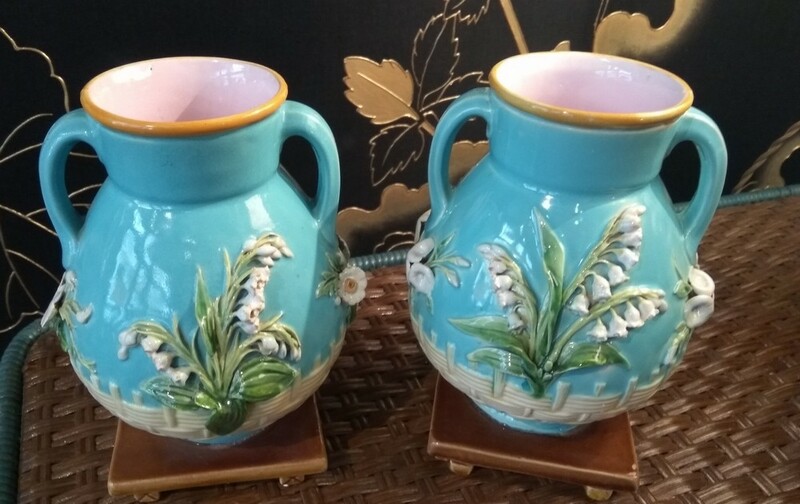 Indeed the decoration celebrates Nature by representing branches of lily of the valley in relief, as well as wicker strands braided in the shape of a basket at the base of the vase. The use of relief, as well as shades of green, yellow and white give a realistic aspect to this composition. Moreover, Nature is doubly celebrated because lily-of-the-valley announces spring and thus the renewal of nature. The approach of the new flowering is accentuated by the choice of pastel colours, which refer to the spring blue sky.